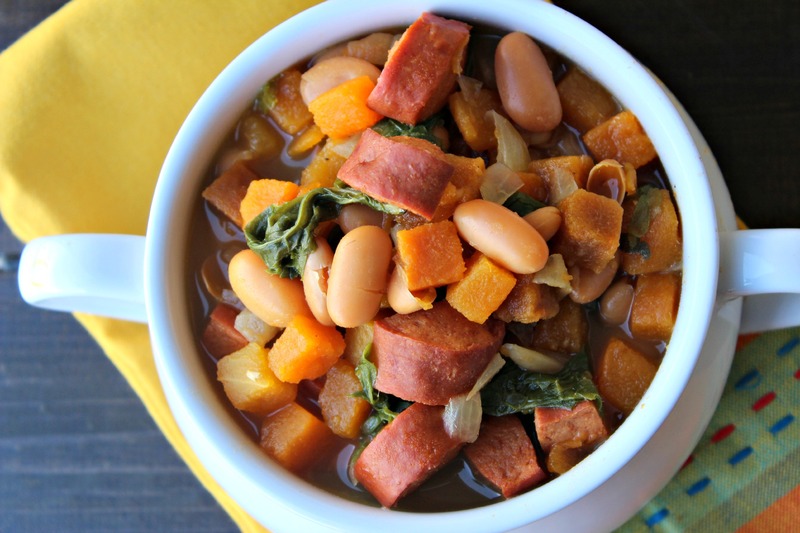 All the goodness of fall in a soup. 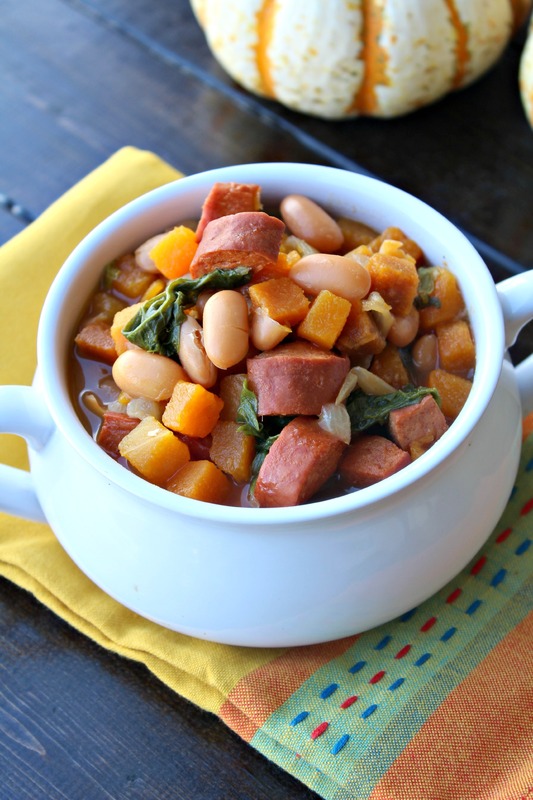 This Turkey Sausage, Butternut Squash and White Bean Soup in perfect to warm you up. Even though we are having unseasonably warm weather here, it is still a tad chilly. Enough so that I want to make soup and stews all the time. 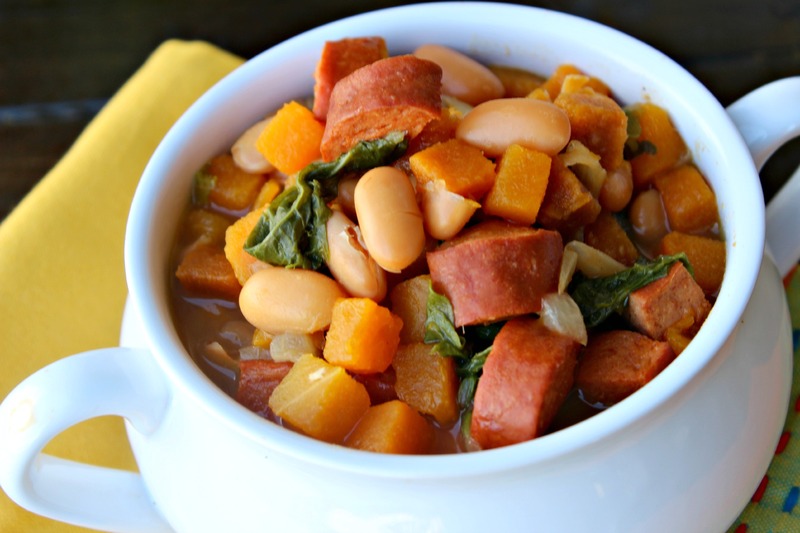 This Turkey Sausage, Butternut Squash and White Bean Soup hits the spot every time. And when I want something, I usually want it quick and without too much hassle. This soup fits that bill. Plus the flavors all complement each other superbly. The gals at work were a little skeptical about the combo, but once they tasted it they were won over. In a large sauce pan, melt butter over medium heat. Add olive oil. Toss in onions. Season with salt and pepper. Mix together and sauté for 5 minutes, stirring occasionally. Add turkey sausage and cook, stirring occasionally for 5 minutes. Add chicken stock, butternut squash, nutmeg, salt and pepper. Mix together. Turn heat to high and bring to a boil. Once boiling, reduce heat to simmer and cook for 7 minutes. 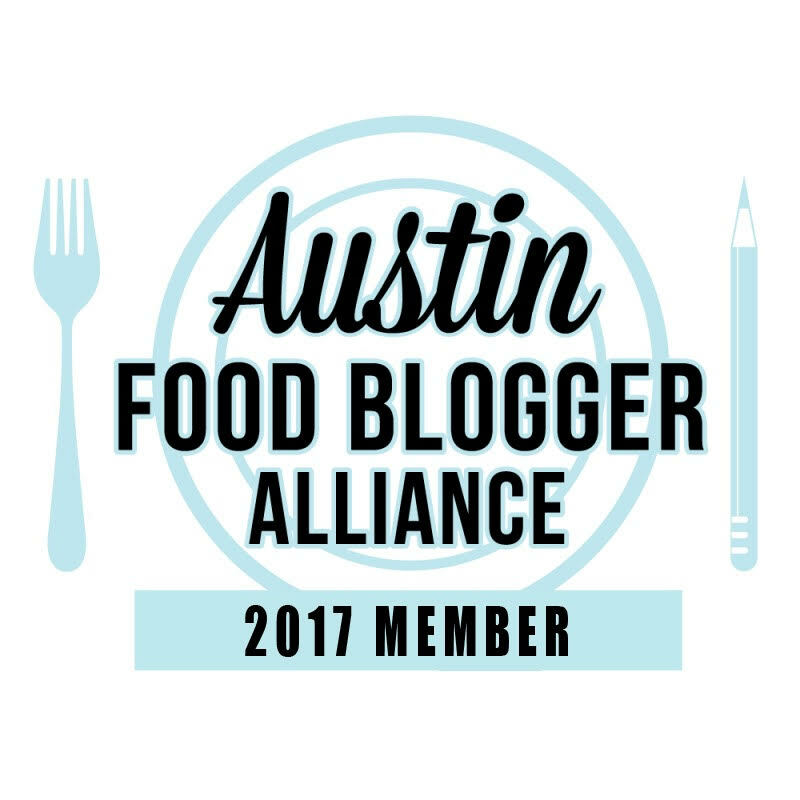 Add beans and Kale. Season with salt and pepper. Cook for 10 minutes.